I am pleased to announce that New Music Toronto has been moved to a new space! I have moved all previous material over to the new domain, as well as comments, pictures, etc…. With this, hopefully I will be able to move forward and begin expanding New Music Toronto, growing it into something bigger and better. Posted in General Announcements, Misc. News. Some sad news from the world of new music. Estonian-Canadian composer Udo Kasemets passed away yesterday at the age of 94. Kasemets, whose work has been played by all over Canada and Estonia, was a quiet, yet immensly influential figure in the world of sonic art – particularly, his work influencing young artists from the Ontario College of Art and Design. I’m always in a good mood the day after a great concert – something intangible carries over to the next box on the calendar. And the performance by New Music Concert last night was one of those shows. Taking place in the Music Gallery, a cozy venue a stone’ throw from the Art Gallery of Ontario, NMC’s show featured music by east coast Canadian composers played by New Brunswick-based Motion Ensemble and guest bassist Roberto Occhipinti. The concert, titled From Atlantic Shores, featured the works of well established east coast Canadian composers (with one exception, but I’ll get to that). Jérôme Blais’ piece Le Miroir d’Argent (2012) kicked off the night with a melody drawn from an old east coast folk song. Composers have, for centuries, been inserting folk themes and ideas into their music with varying degrees of success, but I can say, with utmost conviction, the Blais’ piece was one of those successes. The jaunty melody was carried along by the vocalist (Helen Pridmore), and versions of the melody that were less ornamented were carried along by the other instruments. There were almost certainly sections of the piece that were inspired by Steve Reich, and it was nice to see that the enjoyment that the musicians were drawing from the piece carried over to the audience; I saw more than a few heads bobbing along. Paul Steffler’s Book of Manners (2009) was a smoother little piece, with some nice textures and colours coming from the combination of violin and vibraphone. It was a little dry though, and while I liked the first two movements well enough, it was really the third movement – Benevolence and Peace with Many – that caught my attention. Kevin Morse’s The Unnamed Lake (2013) combined a vocal part reminiscent of Danish composer Per Norgard (a favourite of mine), with instrumental writing that reminded me of a less crystalline George Crumb. It was really quite lovely. Newcomer Lucas Oikle, who has just started his M.Mus in Composition at UBC, had the only premiere on the concert: Skyglow. The piece, a Japanese-inspired piece based on the idea of light pollution emanating from urban centres. The piece had the potential to be better than it was. My biggest complaint was that it was too stuffed with ideas. New material was constantly appearing when there hadn’t even been the chance to absorb what had come before, and I ended up feeling very unsatisfied with what I’d heard. Derek Chark and Sandy Moore’s piece for voice and clarinet titled Blizzard; Between the Ships and the Shores (2009) and Tout Passe (2009) were an example of perfect programming on the part of Motion. Both pieces were beautiful, and were, by themselves worth coming to the concert. The transition between works was so smooth, and that they fit so well together stylistically, that it really felt like they were movements of the same piece. That is how concerts should be programmed. Anthony Genge’s Motion (2005) was a delightful work that was a combination of things. Fun, catchy, quick, and just the right length meant that this piece, for me, was a highlight of the night. Without a doubt though, the most interesting piece of the night was WL Altman’s Variations on a Theme by McCartney (2009). Grating at times, beautiful at others, and definitely catchy (it’s a theme by McCartney, so what else would you expect? ), this is one of those pieces that we, in the new music community, have to throw out there to the general public, because people will respond. If I may be allowed a short digression: I would honestly like nothing more than to see this programme put on again in Toronto (or anywhere else in Canada) and aimed more at members of the general public outside the sometimes cloistered sphere of new and classical music lovers. Attract them with Variations, keep them here with Le Miroir and Motion. Have them listen to what great song writing sounds like with Blizzard and Tout Passe. I am convinced that this concert has everything needed to draw in people from outside our community. With so many concerts happening throughout the year, it’s easy to get disheartened about the state of new music, but certainly Motion Ensemble’s choice of programming lived up to its province’s motto: Spem reduxit or Hope Was Restored. Finally, the concert scene is picking up some. This weekend is just the tip of the iceberg, as there are a whole batch of new music concerts coming your way in the next two months. Here’s what’s on this weekend. 8:00 PM: The Music Gallery presents their second concert in their Emergents series. This concert, curated by Toronto composer and bassist Adam Scime, and featuring Montreal-based Ensemble Paramirabo features a whole swath of brand new, never before heard works by Brazilian born Rodrigo Bussad, and Canadians, Scott Rubin, Robert Hansler, and Christopher Willes. Also on tap are arrangements of two pieces by Frank Zappa, who, as we all know, rocks. Don’t miss this concert, it’s a rare chance to hear a concert made almost entirely of premieres. 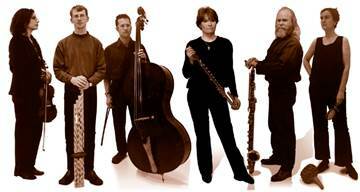 8:00 PM: New Music Concerts kicks of 2014 with a collaboration concert featuring east coast Motion Ensemble. Together, the New Music Concerts ensemble, and Motion, will perform eight pieces of music written by eight Canadian composers all within the past 10 years. Derek Charke, Jérôme Blais, Sandy Moore, just to name a few. I’m already looking forward to this. So, there you have it. Two concerts this weekend, with plenty of time to reflect. I’ll see you on the field. 5:30 PM: Composer and pianist Chris Donnelly presents a concert of his own work Metamorphosis. Donnelly, a Juno-nominated performer, has experience in the jazz and classical worlds and from what I’ve heard, seems to be at home in the world of improvisation. Get out to the Canadian Music Centre (20 St. Joseph St. Toronto) on Monday and find out.